This biography of James Chalmers [1841-1901], martyred missionary to Rarotonga and New Guinea, was written with young boys in mind. My thanks to Redcliffe College for providing a copy of the book for digitisation. This title is in the public domain. James Chalmers was as brave a man as ever fought in the British Army or Navy. He was as true a hero as any Englishman who has ever been honoured by the nation for victories won in the field or on the sea. The aim of this book is to tell the story of his life in such a way as to interest boys. The main purpose of the author has been to show that Tamate, whose great aim in life was to do good to others, was as bold, as courageous, and as worthy of imitation as any explorer, man of science, soldier, or statesman whose name is famous in British annals. The contents of these two books by James Chalmers [1841-1901] about his work in New Guinea overlap, so I am including them both in the same post. My thanks to Redcliffe College for providing me with a copy to scan. These titles are both in the Public Domain. 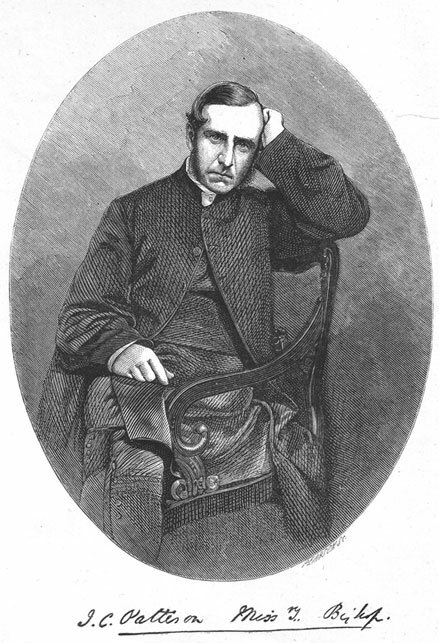 In 1877 the Rev. 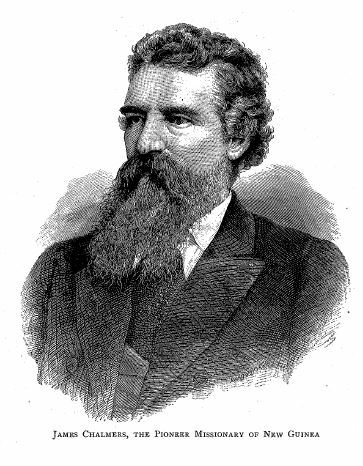 James Chalmers joined the New Guinea Mission, and his arrival formed an epoch. in its history. He is wonderfully equipped for the work to which he has, under God’s Providence, put his hand. He is the white man best known to all the natives along the south coast. From the first he had gone among them unarmed, and though not unfrequently in imminent peril, has been marvellously preserved. He has combined the qualities of missionary and explorer in a very high degree, and universally known by the natives as ‘Tamate’ (the nearest approach native lips can make to Chalmers), has added enormously to the stock of our geographical knowledge of New Guinea, and to our accurate acquaintance with the ways of thinking, the habits, superstitions, and mode of life of the various tribes of natives. The Society for the Propagation of the Gospel in Foreign Parts (S.P.G) was founded in 1701 as an overseas missionary organisation of the church of England. Georgiana Forde provides us with a short history of the mission in which 15,000 men and women served. The Wikipedia article provides a useful summary here. My thanks to Redcliffe College for providing me with a copy to scan. This book is in the public domain. The Rev. T. Barclay, Missionary to the Red Indians – Queen Anne visited by Red Indian Chiefs – Savage Warfare-War between the French and English in North America – The English victorious under Wolfe in 1759 – The Rev. J. Wesley an S.P.G. Missionary – The American Church asks in vain for Bishops – Revolution in the United States – Independence declared July 4th, 1776. I cannot think of the London Missionary Society without their work in the Pacific Ocean coming to mind. The transformation of the people of the Pacific Islands by the power of the Gospel was truly dramatic and accounts found their way into popular culture through such books as The Coral Island. Much of the information in R.M. Ballantyne’s book was drawn from accounts of missionary’s working there, as Ballantyne had never travelled in the Pacific. 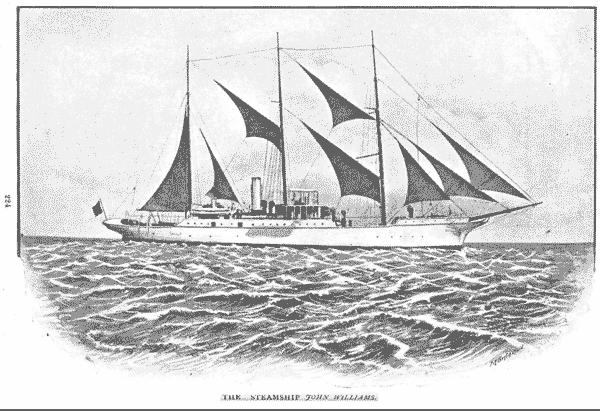 The L.M.S.’s innovative use of missionary ships is noteworthy and their legacy can be found today in such ministries as Mercy Ships and Operation Mobilisation. 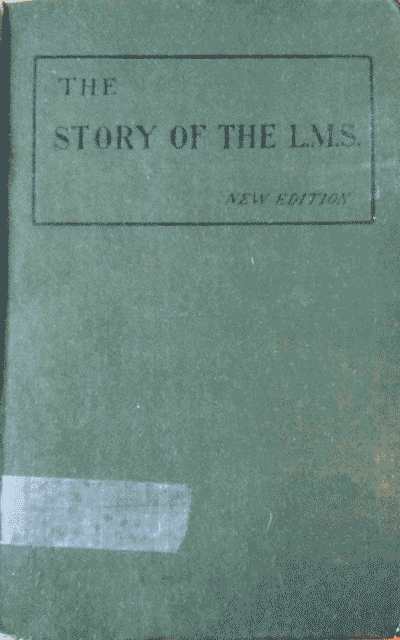 The work of the L.M.S. however was truly global, reaching Africa, Asia and South America. 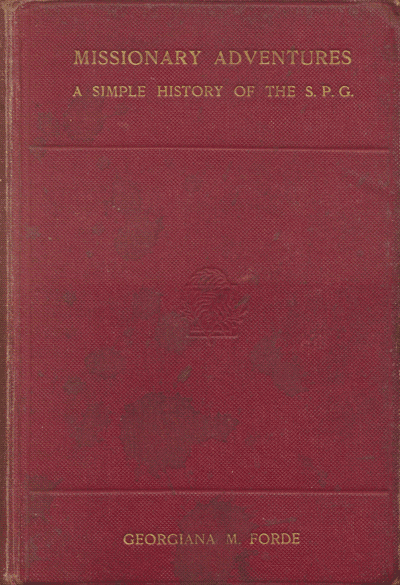 This book provides a comprehensive account of its work up to 1904. It contains a great many pictures which I wanted to include in greyscale to preserve their quality, so the file size of this book is much higher than usual (22MB).